Hi friends! 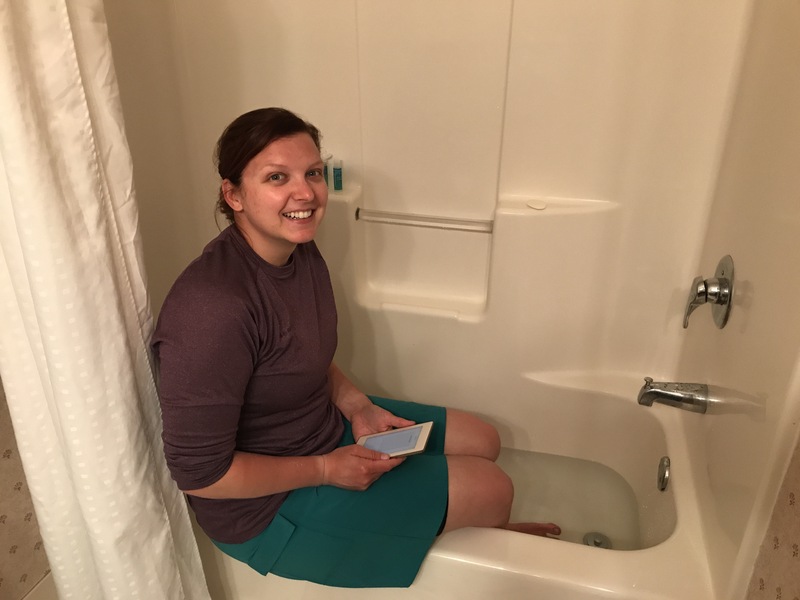 I am really behind on the blog for a lot of reasons- mostly I really don’t ever have service for long enough to type, I go in and out of service constantly. Another reason is that I actually had a hard time figuring out the right words to use for this post- this is a very meaningful one for me and unfortunately I don’t know how to convey how amazing this experience was for me. This is a long one, and I know some of my tough friends are going to think I have gone completely soft here, but that’s too bad- this is it folks, this is what life is all about, this is humanity, this is what makes my heart happy. I hope you enjoy! Overnight there was a crazy windstorm- it sounded like the ocean roaring on full blast through a subwoofer- so I was up and at ’em really early. I ate up the rest of the fruit from town for breakfast and prepared for the steep climb up Kelly’s Knob. My feet were in very bad shape so I had to stop every 1/2 mile or so to adjust my sock and bandages. I finally had enough and made myself a “sock” out of duct tape. 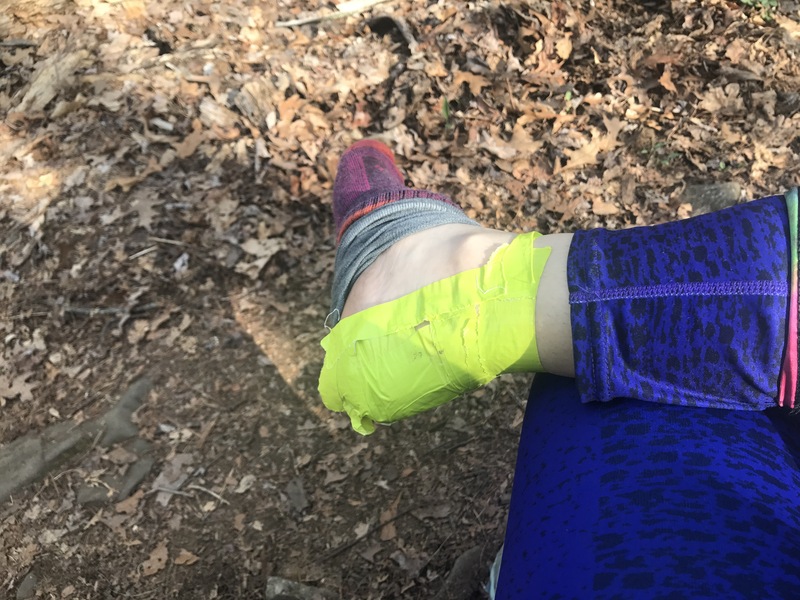 I had been trying to skimp on the tape in case I needed it to repair holes in my gear or whatnot, but if my feet couldn’t get me up the mountain it wasn’t really going to matter if I had any gear issues, so I used up all the duct tape I had for my fancy sock. I spent most of the day without seeing anyone because I was going so slow nursing my feet. Since I hadn’t seen anyone in miles and still didn’t have my package with my headphones, I decided to play a little music out loud to boost morale. I hit shuffle and the first song to play was a Foreigner tune that starts out with the lyrics “I would climb any mountain”- and so, I carried on up the mountain. I knew during the climb that there was no way my feet were going to make it another 4 days to the next town in my current shoes, so I started brainstorming on my options. There was one store in Hiawassee that was closed during our last visit, so I started to put all my hopes in it being open and in Shelley’s words- having a “Magical Pair of Shoes” for me. Days kind of blur together in the woods since we aren’t on a timeline; there is no Monday morning work hustle so everyday could be a Thursday. Except this day wasn’t- this was a Saturday. Normally not a problem- but everything in Hiawassee is closed on Sunday, which meant I wouldn’t be able to do much of anything and would have to stay another night in Hiawassee to try and get someplace with a shoe store on Monday. And this wasn’t just any Sunday, it was Easter Sunday. 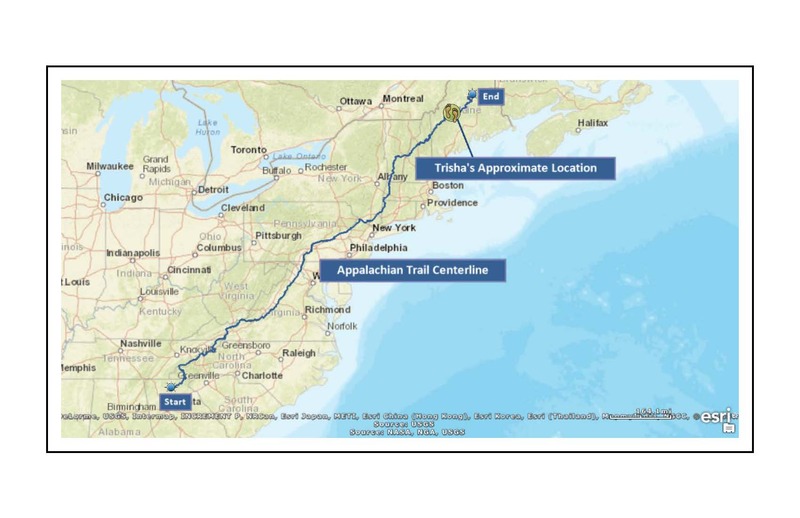 I felt trapped- I was back in Hiawassee for the second time and was going to have to take 2 Zeros there and I hadn’t even been on the trail a week! I became desperate to forgo my Holiday Inn and find a ride out of Hiawassee as soon as possible. I couldn’t stand the thought of being off the trail for so many days, and being “trapped” in a hotel room- if I was going to have to zero I wanted coffee and good food to be a part of the equation. I began calling shuttles to figure out my options. I knew it was going to be pricey, but staying in a hotel a few extra nights would add up too, and I just wasn’t ready to get off the trail and go home over blisters! After all of the planning, saving, training- blisters were about to take me out. Unbelievable. Most of my shuttle calls were fruitless, and one driver suggested I go back to Mountain Crossings instead. I had already been there and there weren’t many options there for me, so my concern was that I would get there and they wouldn’t have shoes in my size or correct fit. I was set on Franklin, NC. The AT guidebook said there were 3 shoe stores there, one with “foot experts”. I just had to get to Franklin, my Mecca. All would be well in Franklin- but I just kept striking out trying to get there. (Another side note- I know this whole post is a first-world problem and really isn’t very important in the grand scheme of life, but it overtook my mind the way little things sometimes do; running late for work, getting cut off in traffic, finding something to wear for a special event- all things that don’t really matter but so easy to get caught up in- this is what happened here). I was obsessed with getting to Franklin, and I’m no quitter, so I just racked my brain until a little idea bubble popped in. I recalled how during our previous stay in Hiawassee at the Budget, the desk clerk mentioned that Ron, the owner, also owns the Budget Inn in Franklin and a shuttle company, and he makes trips back and forth between the two for mail. It was a long shot, but I decided to give him a call and see if he had any mail runs coming up. I spoke with the clerk in Franklin that said he would leave Ron a message, but that he had just done a mail run the day before. I truly did not expect a return call, and was losing hope that my feet would be walking anytime soon. I picked up my resupply box (finally arrived!) and was happy to have my camelback, headphones, and undershorts. I hit the grocery store for some blister care and Epsom salts, and some food for my projected lonely Easter shut-in at the Holiday Inn. While I was shopping, Ron returned my call. He has a nice southern drawl and asked what it was that I was looking for. I briefly explained my foot debacle. He said “Now, what is it you want me to do?”, and gave me a big laugh. I asked him if I was able to find a ride to Franklin, was there any chance I could then have a ride back to Hiawassee with him when he goes for mail, and if he happened to be going for mail anytime soon. Ron offered me an even better solution. He said he was going to send his sons to pick me up the next day- Easter Sunday. 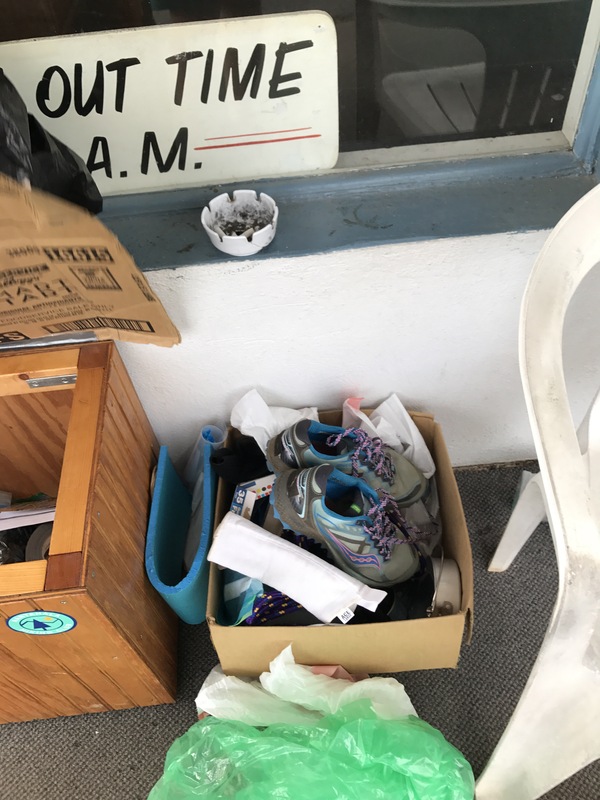 He said that he knew one of the shoe stores would be open Easter Sunday so he was going to send me for shoes and then he would drive me back to Hiawassee on Monday when he went to get the mail. He couldn’t promise what time it would be, and it could even be late in the evening. I listened to him in complete shock- no way could someone be willing to go to all this trouble- on a Holiday, for a complete stranger. No way!!! The gratitude glow started rumbling in my tummy. The deal was sealed with a phone payment for a stay at Ron’s hotel and a very reasonable shuttle fee for his sons. He said he would have his sons give me a call to confirm, and to be ready to roll at 10 am the following day. I would say that I was elated, but that word isn’t enough to describe how I felt. Only one zero? I could handle that! I strolled around the grocery store walking on a cloud of absolute relief. I tried to think of something nice to do for Ron’s sons for the ride and my eyes caught the Krispy Kreme donut display. Oh yes, those boys got some donuts! The rest of the night was pretty uneventful, I was full of relief and finally able to relax. I soaked my feet in the bathtub. I also tried to clean my tent in the bathtub… that was a disaster and made a muddy mess, and I’m pretty sure Shelley will never room with me again because of it. Not sure what I was thinking there. I woke up early, enjoyed a few items from the Holiday Inn breakfast buffet, and chatted with a few other hikers. I had my stuff all packed up and ready and was still waiting to hear from Ron’s boys about my ride. I started getting a little jumpy around 9 am when I hadn’t heard anything yet. He did say 10, right? He did say they were going to call me, right? Was I supposed to call him? I didn’t want to bother him on Easter if I wasn’t supposed to call… About 9:50 am I really started getting worried, but I strapped my pack on and headed down to the lobby in case there was a miscommunication about calling me and they were just going to show up. Just as I was buckling up, my phone rang and I heard Ron’s accent on the line and again I was at ease- boys would be there at 11. Whew! This was the first time I realized that time runs a little differently in the South, and I could probably learn a thing or two about relaxing. Ron’s sons arrived early and were a little surprised when I immediately thrust donuts at them, exclaiming, “I got these for you!” They confirmed the shuttle fee with me and said they just wanted to make sure, since sometimes hikers “mis-hear”. I found that to be disappointing- And this was one of many times that I felt the need to make up for other hikers. One son drove and the other chatted with me about hiking and the town our entire ride into Franklin. I arrived at the hotel to find a lot of hikers waiting outside to get into their rooms. I checked with the clerk, “Sly”, and was able to get into mine right away, I felt like a VIP! I dropped my things off and headed straight across the street to the Three Eagles Outfitters satellite store to get working on the shoe situation. There are a few other gear stores in Franklin, including one that is highlighted quite a bit in the AT guidebook, but this one was recommended by both Ron and his boys, and since they had not yet steered me wrong I was happy to place the fate of my feet in their hands. Two guys were working at the store, one introduced himself as “Solace” and started to help me with shoes as I violently blurted out all of my disgusting blister details. Since this was a small satellite store, they did not have all of their shoe options available and the first pair I tried wasn’t working. The other guy came over and said “I have a few in mind that I think might work, I’ll run over to the other store and grab them for you”. I replied that it wasn’t an emergency since I wouldn’t be able to get back to the trail until the following day, and that I didn’t mind waiting until Monday to visit the big store. He said “No, no… actually….why don’t you just ride over there with me so we can make sure we get you what you need”. And so I did. And the gratitude glow overtook me. He introduced himself as Kevin, and I realized from my research that he was the store owner (yes that’s right- I don’t even buy shoes without reading about the store… I know, I’m a wack job). I was truly astounded- the owner of the store was personally driving me over and getting me fitted with boots. Talk about a Cinderella moment!! He drove through town and told me a little about the town and the fires from the previous year. I felt very shy, as I always feel when I’m in the presence of someone I consider a celebrity- it’s the same feeling I get around scientists with published articles that I go goo-goo over, amazing athletes, and brilliant professors. Although I was toungue-tied I truly enjoyed listening to the information he shared about the town. We arrived at the big store, and it wasn’t even open- Kevin opened the store for me. At this point I was honestly certain that I had crossed into a parallel fairy tale universe or an Ed Sheeran song. We tried a few pairs and sizes and he got me set up with some Asolo boots. I found it to be pretty neat because my first ever pair of hiking boots was the same brand, but they were calf-high, big brown leather boots with red laces. I got a little bit of a style upgrade this time around. I picked up a sleeping pad and water bottle while I was there and Kevin also gave me a complimentary t-shirt and AT Hiker discount before driving me back to the hotel. 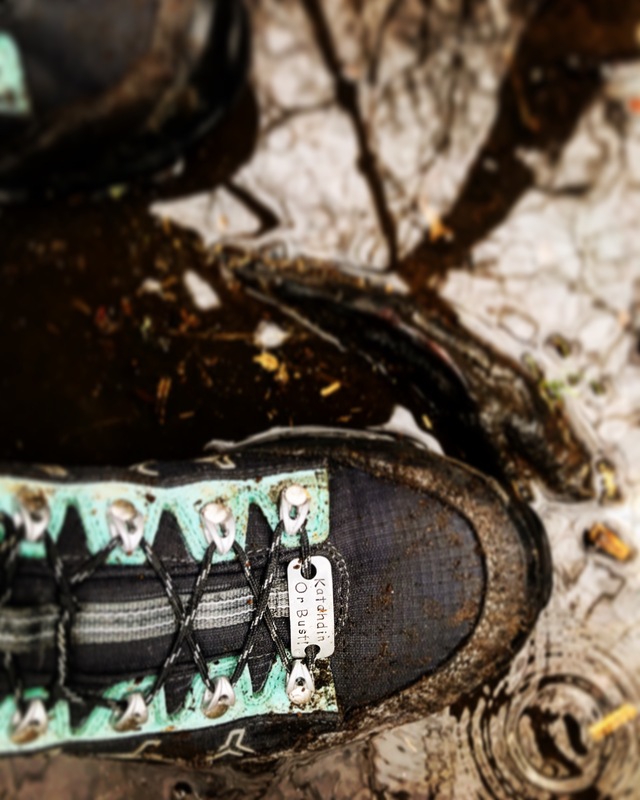 I truly felt like a princess- a dirty, stinky, blister-ridden princess, and I was thrilled to be Trail ready. Kevin Rocks! I had felt the gratitude glow growing ever since I first spoke to Ron, but at this point it was a full on bursting bubble inside my belly. I know that I don’t have the right words to describe the glow, but I’ll give it a shot. For me, it feels like warm butterflies in my stomach that fly up and down and out of my head and feet, with goosebumps and chills on the outside. A giant warm bubble that floods my body, heart, and mind. The best part of the glow for me, is that I can’t help but want to share it with everyone else- I can’t stop smiling and I want everyone else to feel it too. It’s truly an amazing feeling, and I’m very fortunate to have felt it a few other times also. I remember once while dog walking on a beautiful day, I just felt surrounded with beauty; I was walking dogs that I truly loved and realized that I was getting paid to do so, AND by two amazing bosses. I got the huge bubble and the glow and just felt so thankful for such an amazing life, and I just couldn’t stop smiling. Another time I felt the gratitude glow was at the end of my first Olympic distance triathlon. 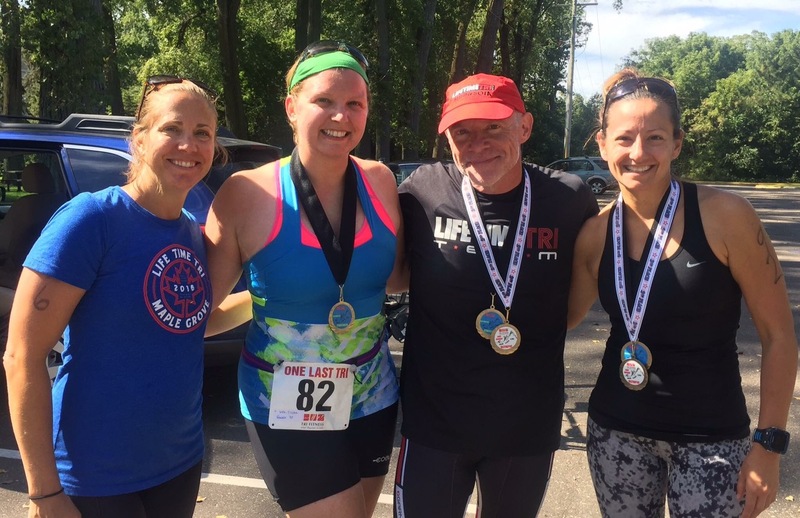 Some of my triathlon friends were also there, but they were all very speedy and were on a relay team, so I knew I wouldn’t see them afterward because it would take me so much longer to finish. I honestly did not properly train for the event, but it was something I wanted to try since I knew I would be missing an entire triathlon season to go on my hike. It was really hot and I was truly struggling to finish the run portion. I got near the end and my friend Stephan came running around the corner and ran a bit with me. I couldn’t believe he was still there! I got a little bit further and my saw my friends Lindsay and Lara waiting near the finish. What were they doing there?! The gratitude glow swept over me and I was just about in tears to find my friends had waited so long after their finish just to be there for me. It’s really an incredible feeling and I wish I could describe it better! Back to Franklin- I dropped off my new boots in my room and stopped at the desk to see if my resupply box had arrived. Sly had my box and a question for me- the hotel was full and there was a young guy looking for a room, so he asked me if I would take a roommate. After all of the kindness I had been shown there was no way I could dream of saying no- and so after exchanging numbers I gave my new roomie the one and only key to the room and said I was going out in the town exploring and I’d call if I needed to get back in. He was shocked that a stranger would not only allow him to share a room, but also give up the only key. I headed toward one of the breweries, The Lazy Hiker and was happy to find it was open! On Easter Sunday! I had some great beer on the patio and just sat around for a while soaking up the sunshine, smiling, and enjoying the gratitude glow. I headed off to explore some more and ran into Solace and another hiker named “Grunt” as they were headed to the other side of town for shopping. They invited me to join and although I didn’t actually need anything, I didn’t have anything else to do so I hopped in and tagged along. I enjoyed chatting with them and was surprised to learn that a lot of the shuttle drivers are actually volunteers- people that have hiked before and come back year after year to help out. At this point I was out of cash, but I offered the shuttle driver/shoe store volunteer Solace a beer or food as thanks. We stopped at the Big Three Eagles Outfitters store and I ran into my new roomie and his parents. 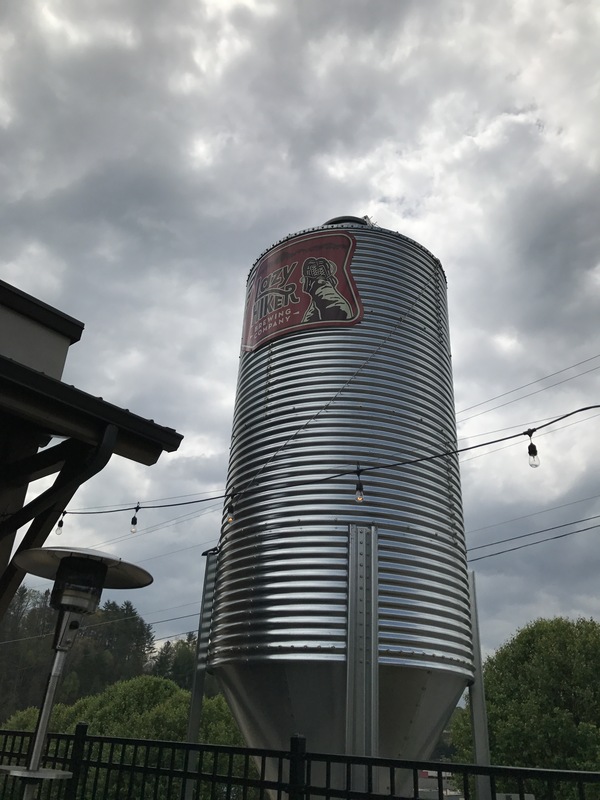 They dropped me back off and I continued my town exploration and headed the opposite way to check out the other town brewery, Curahee. I sat outside and met some other hikers that were staying at a nearby hostel. They were very friendly and it was really nice to have some hiker camaraderie. The neat part about running into other hikers in town is that they have been through the same experiences- the same weather and terrain- and it’s something to both complain about and celebrate together. That also reminds me of triathlon aftermath- we all suffer through it and we all feel such a sense of accomplishment and brotherhood afterward. I also ran into my new roomie again, and got to talk to him about where he was on his hike and how it was going so far. On my way back, I ran into Solace as he was finishing up his shift, so I got him that beer I promised him for being an awesome volunteer. For Trail names, Kevin suggested “Tiger” because I was doing a little heckling on them for their poor taste in baseball teams, and Solace suggested “Quiet Storm”, which I took to mean I was shy but completely nuts. Being that no one else was really around, neither name stuck. I threw my old shoes in the Hiker box and jumped with joy to be rid of the blister-causing monsters. 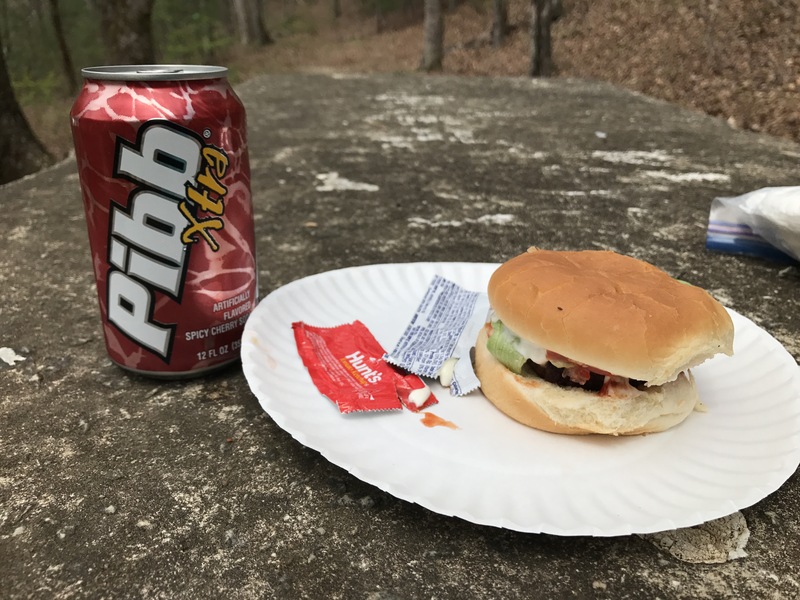 (Hiker boxes are places where hikers can leave things they no longer want and other hikers can use- kind of like the “Leave a penny, take a penny” jars at gas stations). I didn’t sleep well and got up at sunrise. I quietly showered and tried not to wake my roommate. I walked over to The Main St. Cafe and enjoyed a Caramel Macchiato, and then headed to the other side of town for breakfast. At the Kountry Korner I enjoyed some eggs and biscuits and gravy at a bargain price. I was still floating on the gratitude glow, so I asked if they accepted credit cards (many places don’t), and when I knew they did I bought a pair of cops breakfast as a way to try and spread the love I was feeling. I checked out of my room and sat on the stoop with the other hikers. I still had no idea when Ron was going to take me back to Hiawassee, I just planned to sit at the ready and do some reading in the sunshine. 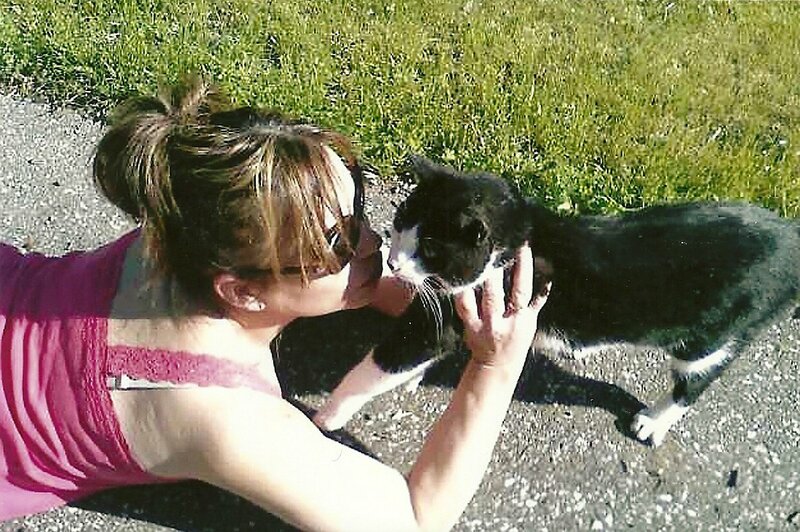 As I was waiting, I was fortunate to meet a local celebrity, Miss Janet! I had read a lot about her while preparing for my hike, she is well known for helping hikers and giving abundant trail magic and love. It was really amazing to meet someone so special that I had read so many wonderful things about. Miss Janet tried to think of a good trail name for me, she thought it should be very colorful and something along the lines of a kaleidoscope (due to my crazy colored clothes). I hoped she would come up with a good one- Three Eagles Outfitters and The Lazy Hiker both had 2017 banners that all the hikers sign, but you must use your Trail name and I was a little bummed that I didn’t have one to leave my signature on my new favorite places. As I sat on the stoop waiting, I realized the other hikers waiting to check in were waiting for the rooms to be clean and there was just one cleaning lady and she seemed a little overwhelmed with hikers asking for towels and supplies, as she was trying to prep the rooms for the new hikers to check in. I offered to help her out and she accepted, so I put my old cleaning crew skills to work and ended up cleaning the same room I had just stayed in. I’ll tell ya, you truly haven’t lived until you have scrubbed up a hotel toilet. Afterward, I went back to my waiting stoop and a few new hikers arrived and asked me if I was “The Shoe Girl”. They were really happy because they were headed to Hiawassee too, and they were only able to get a ride with Ron since he had already arranged to go back with me. Ron pulled up about Noon and asked if I was “The Shoe Girl”, and we headed back to Hiawassee. During the drive he told us all kinds of stories and history about the people and the areas that we drove through. He also told us that it happened to be his Son’s birthdays (twins- the same ones that had given me a ride the previous day), and I was again struck by how much he was truly giving to get me back on the trail. When we got to the trail, there was a church group there with some amazing trail magic. Although I had experienced a ton of magic already in Franklin, this was my first “on trail” magic! I enjoyed a grilled burger and they had me write my name on their prayer stick that they would use to wish us all a safe voyage. I started hiking about 1:15pm and camped about 6:00 pm. I finally passed the North Carolina state line sign and was very excited to have 1 state behind me! (Although, I did see a lot of irony in the fact that I had just driven back and forth to Georgia only to walk back into North Carolina the same day). It was my first day hiking and camping on my own, as Shelley had continued hiking while I was working out the shoe fiasco. I started to see fire damage on the trail and it was very eerie to see and think of the impact on the ecosystem and people in the area. It started raining a little before I got into North Carolina and continued as I set up camp. I realized my new water bottle didn’t quite fit my water filter so I spent some time trying to figure out how I could rig it up until I could get a new one in Franklin for my official “real” visit, which would be in just a few days. I set up camp and enjoyed my first night on my own! Readers: Have you ever experienced the Gratitude Glow? What does it feel like for you? Please share in the comments! Haha! Yes definitely worth the blisters to meet awesome people! Cheryl you deserved it! Your kindness and generousity are inspirational. I love love love your words, Trish. Thanks so much Kim! You definitely inspire me! Thanks Tia! It’s really been wonderful! It’s wonderful to know that there are truely good people in the world. I’m so thankful that you stumbled across them. Your thoughtfulness and generosity of paying forward is never surprising & I am proud to be your Aunt. Thank you! The peopleI have met have really been a treat! Thank you Laura! Love ya!! Thanks so much Kimberly! Miss you! Strong woman, I continue to be impressed and love reading about your journey! It’s awesome to hear that humanity is still kind to all the travelers. Thanks Bernadette! The kindness I have seen so far in the trail had really been amazing! Trisha, I feel like a celebrity that you mentioned me on your blog! HAHA! You know why I stayed to cheer you across that finish line? Because you did the same exactly thing for me 2 months earlier at the Minneapolis Tri! The crowds were gone, the sweeper was coming up behind us last few runners, and to see you cheering me on at the finish was so amazing. 🙂 You constantly show everyone around you selfless love and kindness and it clearly shows as the universe is dishing it back your way. 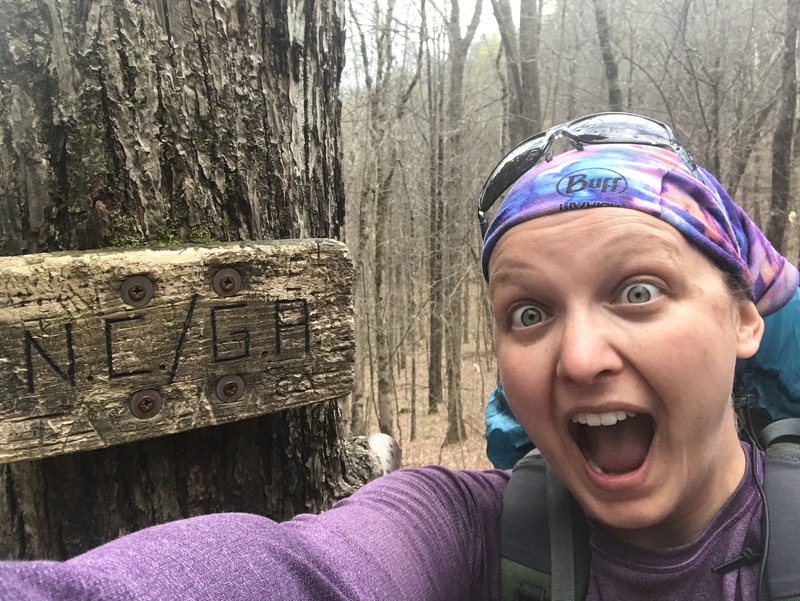 I loved reading this story and all the great things you are experiencing on your adventure! Memories to last a lifetime! You are so sweet! Thanks so much for your kind words; you have a big heart and it’s easy to be good to people that share your zest for life! I’m so glad we have those two shared experiences! How lucky you were! And how cool it was that you paid it forward with smiles and breakfast and cleaning help. I get little bubbles of it too whenever near-strangers offer their snacks (usually fruit here in Taiwan) when we meet on the trails. And only two weeks ago I had a lovely when I was given a free coffee and then later a free umbrella after a group of people saw me cycling in the rain with no coat. It feels so good to be reminded of the positives.